Thanks to billionaires like the Koch brothers, the term "super PAC" has become a buzzword during this presidential election. But what if black fraternities collectively began a super PAC of their own? 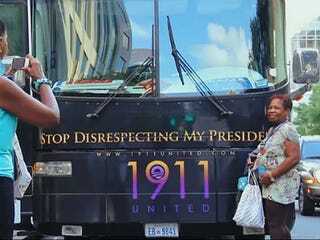 Enter the organization 1911 United, a group launched by a member of Omega Psi Phi fraternity and a member of Kappa Alpha Psi fraternity who pooled their resources to campaign for President Obama outside of their respective Greek organizations. According to Colorlines in partnership with the Nation, 1911 United aims to get out the vote by utilizing their established network of black Greeks.